Q: How long do my oysters keep? 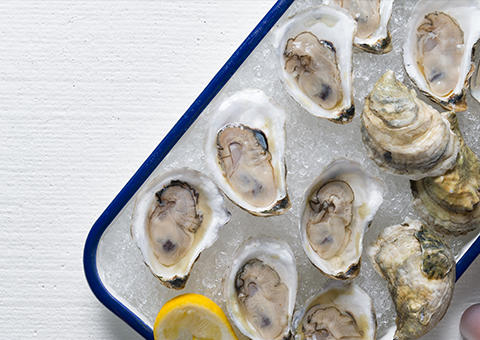 Your oysters keep in the refrigerator for 7-10 days! You can order a day or two early to make sure you have them in time for your gathering. They are totally fine hangin’ out in the cool air. Q: How do I store my oysters? When you receive your package, pull them out of the Styrofoam container (these guys need a little fresh air!). Grab a mixing bowl and throw the mesh bag in the bowl so that the oysters don’t leak all over your refrigerator. Grab a damp cloth and throw the cloth over the bowl. You are good to go for the next 5-7 days. Doesn’t hurt to dampen the cloth each day to keep them moist and chilled. Q: Should I put the oysters on ice? Only put the oysters on ice before service. The oysters will actually die in the melted fresh water so do not store the oysters on ice. They will not like this. Q: How are my oysters packed? The oysters are packed in a Styrofoam container with an outer cardboard shell. There are food-safe gel packs in the package to keep your goods cool through the transit process. We have a “Time Temperature Indicator” in the pack as well, to ensure that your oysters did not reach more than 45 degrees for more than 2 hours during your oysters’ trip. Q: How are my oysters shipped? We ship using FedEx Overnight service. You will receive tracking info after the label has been printed the day before your oysters are set to arrive. We do not require a signature – Fedex will leave your package at your doorstep. Q: How do I open my oysters? We like to say, if we can do it, anyone can do it. We have a tutorial image and video here: www.islandcreekoysters.com/ico/how-to-shuck/ so check this out. Opening them makes it all the more gratifying to eat them. If you really don’t want to hassle with opening them, check out some of our baked oyster recipes here: www.islandcreekoysters.com/ico/recipes – the oysters will pop right open if you throw them in the oven or on the grill! We always include gift receipts so no worries about any prices in the package. Q: Can I eat oysters in a month not ending in “R”? Oysters typically spawn during the months of May, June, July & August; during and after spawning, oysters have put all of their energy into spawning which causes their meat to taste flabby and less flavorful. In order for an oyster to spawn, water temperatures need to reach at least 70 degrees (hence the summer month time frame). Oysters grown in cold water areas, like Duxbury Bay, typically do not spawn and are therefore delicious all year round. We have a 100% satisfaction guarantee at Island Creek. We want you to be just as happy with your order as the amount of pride we have growing them. So, if something isn’t right or you have a question, give us a call (781-934-2028) or [email protected] – we’ll get back to you as fast as we can. Have more questions? 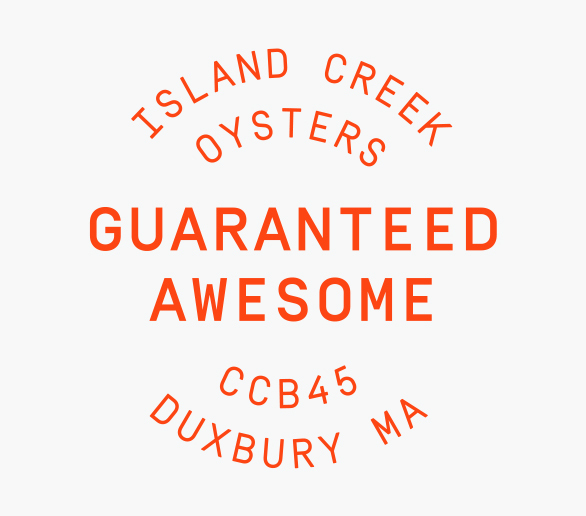 Feel free to give us a call at 781-934-2028 or email [email protected] – we love to geek out about oysters and help out with anything you need!